Your child may have recently complained of a tooth pain caused by decay. Perhaps during the last check-up, the dentist or orthodontist recommended extraction of a baby or adult tooth for orthodontic reasons. Maybe an adult canine tooth is stuck and/or coming in the wrong way and needs correction. Sometimes, a child needs treatment for injury in the mouth or on the face. These are some of the most common reasons oral surgeons see children under age 13. Of course, you may have some concerns or questions about the recommended treatment and want to make certain it is appropriate, and that the procedure can be done safely, quickly, and without traumatizing your child. Dr. Kazemi has special training in the treatment of children and has worked extensively with many orthodontists and pediatric dentists for the care of their patients. Your child may have been recommended to have certain teeth extracted, typically for orthodontic reasons. 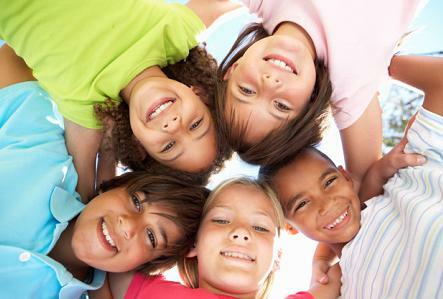 The recommended teeth may be primary or baby teeth, permanent teeth, or wisdom teeth. Such selective extractions are designed to create the adequate space that the orthodontist needs to improve eruption pattern of the permanent teeth and alignment of your kid’s teeth. A specific recommendation is given and written by your orthodontist on which teeth require extraction. Baby or primary teeth are recommended for extraction if they are deeply decayed with significant pain, or infection. Another reason for extraction of primary teeth is for orthodontic reasons. Your child may be in the mixed dental phase, where some adult teeth have already come in or are on their way. Occasionally, due to tight space, the adult teeth get stuck or begin to come in incorrectly. Extraction of selected baby (primary) teeth during the developmental age may help to minimize crowding of the adult teeth later and improve alignment in the mouth. Any baby tooth may be extracted for this purpose, although the canine teeth (#C, H, M, R) are the most common. This adjunctive procedure can help shorten future orthodontics treatment. A space maintainer may then be recommended depending on the tooth and age of your child. Sometimes, the jaw size is so restricted that there simply isn’t enough room for all the adult teeth to come in properly and therefore may cause the teeth to become crowded. When children reach age 12 or 13, orthodontists may recommend extraction of the first premolars to help create adequate space for the adult canines and other teeth. Typically, all four premolars are extracted at the same time. Teeth crowding may also be due to jaw size problems. In this case, the orthodontist may choose to keep all the permanent teeth, align them orthodontically and then recommend a jaw correction procedure. Although wisdom teeth are typically recommended to be removed between ages of 15 to 18, your orthodontist may request their removal earlier. The most common reason for earlier extraction of wisdom teeth is impacted or malpositioned second molars. 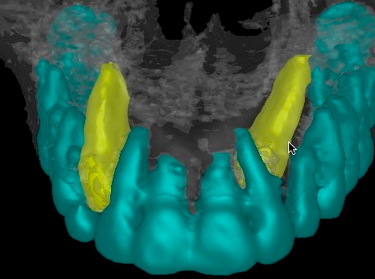 Once the wisdom tooth is removed, the impacted second molar may have additional space for eruption. The adult canines are the ‘corner stones’ of your teeth and are extremely important in both function, bite balance, and aesthetics. Perhaps during your last orthodontic appointment, it was noted that one or more of the canines are not erupting into the mouth correctly because of crowding or inadequate space. While your orthodontist uses braces to align your child’s teeth and create adequate space, he or she may request a canine exposure which will make it possible to guide and bring in the canines in their proper position. A frenectomy (also known as a frenulectomy, frenulotomy or frenotomy) is the removal of a frenulum, a small fold of or tissue / muscle fibers that develop in different part of the mouth. Done mostly for orthodontic purposes, a frenectomy is either performed inside the middle of upper lip, which is called labial frenectomy, or under the tongue, called lingual frenectomy. Children fall often and can suffer injuries to mouth or face. These may include tooth fracture, loose teeth, or knocked out teeth. They may also get cuts or bruises to the face. Additionally, they may have various fractures to the jaw or facial bones. When this happens, call Dr. Kazemi immediately for evaluation. Majority of the injuries can be effectively managed in the office while for more significant injuries involving jaw bone fractures, hospitalization may be necessary. Fractured primary teeth in children may be restored if relatively superficial but often needs extraction if deeper. Chipping of the enamel can readily be restored with resin bonded materials. Fracture of secondary teeth in children may be treated with bonding, root canal treatment, or extraction depending on its severity. Loosened or displaced primary (baby teeth) must be extracted. Secondary (adult) teeth however may be reduced and stabilized as long as there is no fracture. Teeth should be evaluated by the oral surgeon for best course of treatment. Avulsed (completely out) primary teeth should not be placed back in the socket. However, if the avulsed tooth is a permanent one, then it may be possible to replace as long as a specific protocol is followed. Jaw fractures in children are most often treated by closed reduction and stabilization techniques. Such injuries are best treated at hospital. If you kid has suffered trauma and is complaining of jaw pain or has had bleeding from mouth, or can not close mouth properly, a fracture might be present. Most lacerations to face, lip area, or mouth regions can be easily treated at our office. Control any bleeding with a clean gauze or towel and bring then to office as soon as possible. Anxiety is not uncommon among children, especially if they had bad experiences previously. We resolve this in several ways. First, the use of child-specific IV sedation allows them to take a nap during the procedure. This helps to make them comfortable and reduce anxiety. Second, they will be cared by a group of affable staff members who take time to personally connect with each child and allay their fears and concerns. Your child is given full “perceived” control of the events that take place and they approve each step along the way. At no time is a child ever held down, talked to loudly, or strapped. These methods are outdated and ineffective. See below for more information on anesthesia options. Recovery can vary depending on the type of procedures from simple extractions to a more invasive canine exposure procedures. Here are some general guidelines. Treatment cost and insurance benefits for procedures in children can vary based on type of procedures, choice of anesthesia, and insurance benefits.